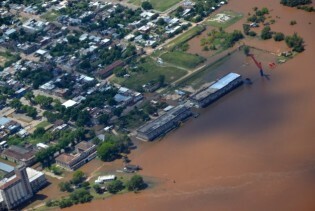 The flooding that has affected four South American countries has underscored the need for an integrated approach to addressing the causes and effects of climate change. Cuauhtémoc Cárdenas, known as the ‘moral leader’ of the Mexican left, said that his country and Central America “focus very much on the North” and should make a shift towards South America and its integration processes, in order to achieve less-dependent, alternative development conditions. The Mercosur and Pacific Alliance blocs can strengthen Latin American integration rather than weaken it, analysts say. July will mark the start of a new era for the Common Southern Market (Mercosur), when it will expand to five full members, if the South American bloc manages to overcome the commotion caused by the admission of Venezuela and the suspension of Paraguay. To go down fighting in the Andean Community (CAN), with a combined market of 92 million consumers, or move up to the big leagues of Mercosur, with 275 million? This was the dilemma faced by Bolivia’s foreign trade strategists when it came to pursuing full membership in the bloc formed by its neighbours to the south. Paraguyan rights groups are disappointed at being denied access to a delegation of the Organisation of American States (OAS) sent in this week to discover the facts behind the impeachment and removal of President Fernando Lugo on Jun. 22. Energy integration in South America will be a reality "in the medium to long term," driven by hydropower and drawing on Brazil’s experience, predicts Altino Ventura Filho, secretary of planning in this country’s Ministry of Mines and Energy. The leaders of South America's Mercosur trade bloc decided to set up a committee to facilitate the incorporation of new members, adopt a mechanism to defend democracy in case of a coup, and ban vessels from the Malvinas/Falkland Islands from docking in member countries' ports.